DC unlocker team recently release its latest version DC-unlocker client software V1.00.1057 which can be downloaded from here. 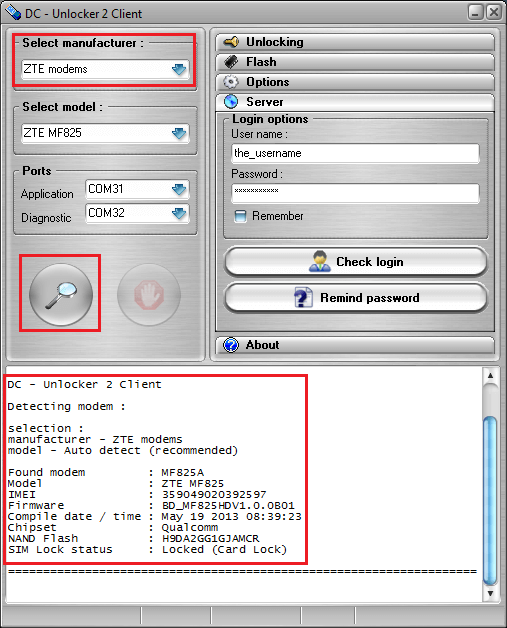 In latest version of DC-unlocker client software V1.00.1057 DC Unlocker team has added support of unlocking of ZTE MF825 modem also. Recently in India Airtel network has launched ZTE MF825a modem, which can be unlocked with DC-unlocker client software V1.00.1057. 1. Download DC-unlocker client software V1.00.1057 from here. 2. Now change the default SIM with any another sim and plug the ZTE MF825 modem in PC and let it install all drivers and software. 3. Now close the dashboard / software of ZTE modem. 4. Now install the downloaded software in PC. 5. Launch the DC unlocker software by double click on it. 6. Open Server tab, enter your username and password that you received after purchasing the credits from DC unlocker. Click “Check login”. 7. 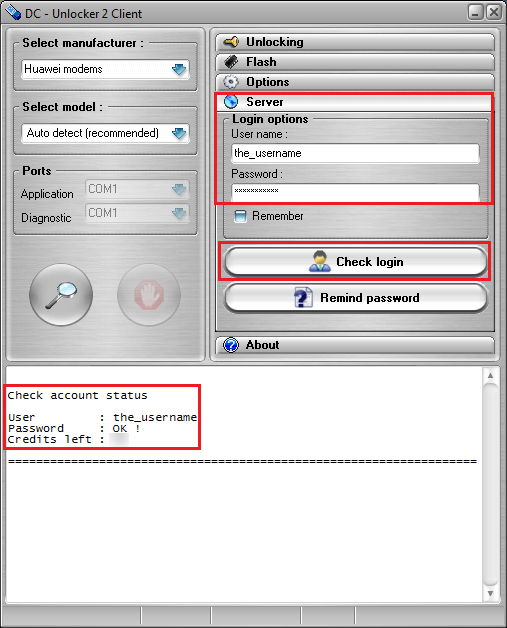 Select the ZTE modems from drop down menu. 8. Now detect your zte modem by clicking on magnifying glass button. Wait till program detects it. 9. Open Unlocking tab, click “Unlock” button, wait for device to be unlocked. After you see that modem was successfully unlocked, restart it by disconnecting and connecting back. Now you can use it with any SIM card. 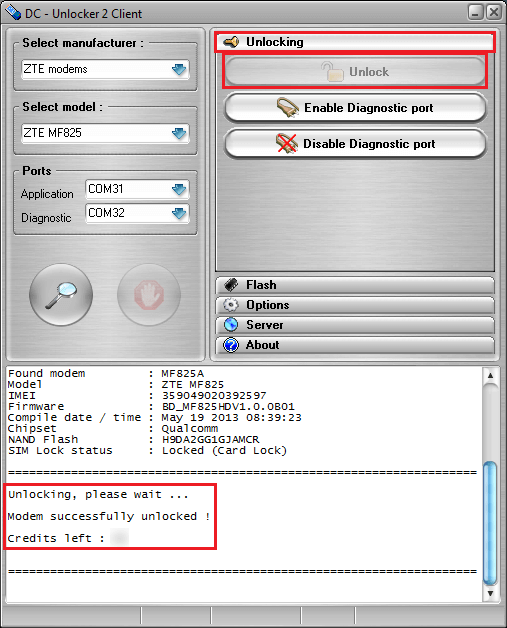 Next articleHow to create profile in unlocked ZTE MF825a Airtel India Modem Dongle?